Gimme that loot! Those sweet, shining gems? That's luxury living! I specifically remember going to the mall with my mom and finding a cheesy plastic bracelet filled with massive fake gemstones. It was at some old lady store, and I spent 8 bucks of my own cash to buy it, so you know it was valuable. I took it home and immediately pried out all them gems, put them in a steel box, and buried them. Pirate treasure, yo. Pirate treasure. 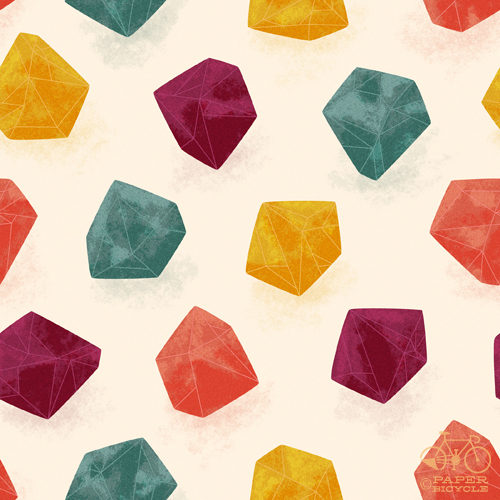 I had some plastic gemstones like these! But because I'm a nerd, they were Harry Potter themed.